Railway RRB NTPC Syllabus 2019. 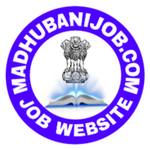 Download CTET July 2019 Online Form Syllabus. Download Railway RRB JE Online Form Syllabus 2019. SSC GD Constable / Syllabus Exam Date 2018. UPTET Online Form Syllabus 2018.